Soon after you get licensed as a professional real estate sales agent in Massachusetts, your next order of business is to drum up leads. Whether you’re interested in buying, selling, or both, you need to find clients. So, exactly how do you market yourself as a real estate agent? If you have no idea how to get started, let this post serve as your beginner-friendly guide. Below, we’ll share the best marketing tips for new real estate agents. Before we delve into ways to market yourself as a real estate agent, let’s take a moment to discuss blind advertising. In just about every state, and certainly in Massachusetts, blind advertising is illegal. In other words, when marketing a property, you must identify yourself as an agent in your ad, fully disclose the name of the broker or the licensing company, and provide your business address and state. This prevents any misunderstandings by the public, such as who may be selling the property. Why do you need to list the broker? Technically, the listing belongs to the broker, even if you’re the one who’s paying for it. Now, with that out of the way, let’s dive into marketing tips! You probably have a social media account for personal use. But, in an effort to avoid mixing business with personal, it's always a good idea to set up a business account on social media. Create an account on the most important social platforms for real estate agents, such as Facebook, Twitter, Instagram, LinkedIn, and Pinterest. Take advantage of the free marketing that these social platforms provide. Post frequently, share multiple images of homes that you may represent, highlight the area, and always respond to any comments that are left on your page. A website acts as a central hub for your real estate business. Your website will contain all of the necessary information, such as your bio, your contact details, and a catalog of your listings. Grab search engine traffic. People start their home search online. With a properly-optimized website, you’ll have a better chance of attracting people looking for their dream house on Google or Bing. When you create a website, make sure that it's mobile-friendly. Over half of Internet traffic originates on mobile devices. Your website should look good, no matter how small the viewing screen. Your website is the perfect place to include listings. Share everything about a particular listing right on your website, from photos to virtual tours to neighborhood information. Be sure to target the right keywords within your website's content to reach search engine users. This is all a part of optimizing your site for search engine traffic, better known as SEO. Real estate marketing is a contact sport. You'll spend a lot of time networking face to face with prospective clients and referral sources. It's crucial that you have a never-ending stack of business cards to pass out whenever the need arises. Your business card should definitely include the basics, such as your name, phone number, business address, email address, and website. Additionally, choose a design that stands out from the crowd. 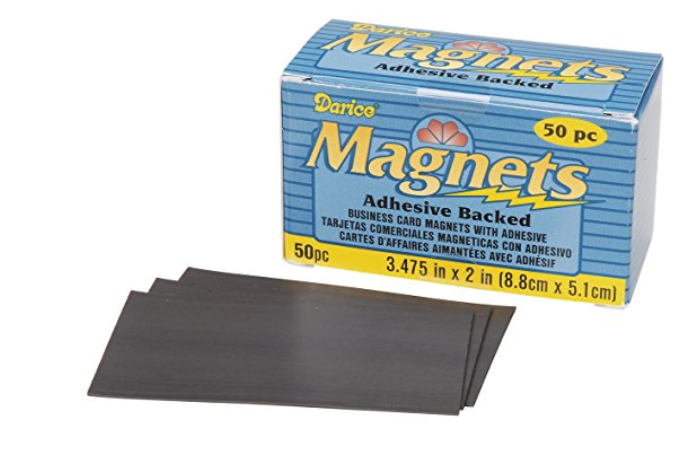 A great option is to add adhesive backed magnets to your business cards. Sure, they're more expensive to produce, but magnetic business cards are more likely to stick around (excuse the unfortunate pun) because they're harder to discard. Ever heard the phrase, "The money's in the list"? The list referred to here is your email list. You should actively create a list of contacts who wish to stay connected to you through email updates. The easiest way to capture email leads is to create a "lead magnet." A lead magnet is a free gift that you offer in exchange for the lead's email address and their permission that allows you to market to them. An easy, effective lead magnet to produce may be an ebook, such as "A Guide to Finding the Right Home in Cambridge" or "The First Time Home Buyer's Guide to Negotiating the Best Price Every Time." Your ebook doesn't need to be long, just packed with value. The goal is to build a nurturing relationship with prospective leads, and the first step is getting them on your email list. Because real estate sites like Zillow are usually among the first results on any real estate-related Google search, it's important that your smiling face is listed there (and your testimonials, too). Not sure where to create an account? Start with Zillow because it's so darn popular. Custom Audiences (people you already know) - You'll upload your email or phone number list to find your contacts on Facebook. Custom Audiences allow you to nurture leads and continue to develop a relationship with them. Saved Audiences (people you don't know yet) - If you don't have a list yet, or you're looking to start from scratch, choose the Saved Audiences option. Here you can target prospective customers based on demographics (i.e. age, location, and job title), or behavior (i.e. recently moved into the area, newly expanded family, just married). Lookalike Audiences (people similar to those you already know) - Lookalike Audiences are a branch off from Custom Audiences. In a Lookalike Audience, you can reach out to people who share some similarity to those you already know. This can be beneficial for finding prospective clients who resemble your best past clients. Facebook ads are pretty cheap and totally flexible. You set the marketing budget, you set the times when your ads are shown, and you decide exactly who sees your ads. As your real estate business grows, you can scale your Facebook ads and invest more into them. To prove that you're a trustworthy and effective real estate agent, you need testimonials. Testimonials provide you with the much-needed element of social proof. If you're just starting out and don't have clients just yet, you can collect testimonials from fellow colleagues. Even if the testimonial is more about your work ethic and less about a sale, it can still service as a powerful endorsement and seal of trust. Share these testimonials on your website, in your marketing materials, and over your social media. Although we've spent a lot of time focusing on new methods of marketing, such as Facebook, let's not overlook traditional marketing efforts. Direct mail is still a thing. In fact, direct mail gets a better overall response than email, paid search, and social media efforts combined. Because prospective customers can actually "touch" direct mail, your marketing message often feels more personal and trustworthy to them. Direct mail is commonly used to advertise properties that are currently on the market and those that you've recently sold. You can and should personalize your direct mail. Target prospective customers based on different demographics, such as location and age range. If you can personalize with the prospective customer's name and use full color in your ad, you'll increase response rate by up to 135%. Direct mail is also cost effective. 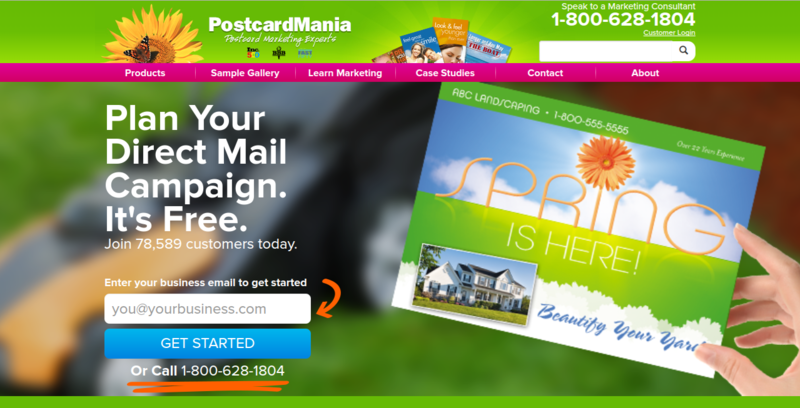 Even with a meager budget, you can get started with direct mail advertising. Many services offer an all-in-one design and print solution for your convenience. Remember that direct mail is just the first step in a prospect’s relationship with you. Send prospective clients to your website, where they can learn more about you and your listings before making a call. In addition to direct mail, you can also print out door hangers and canvas the neighborhood. Because marketing hangers are more noticeable, they can serve as a great way to get your foot in the door. Marketing yourself as a real estate agent takes time and a little bit of money. While there are many more ways to get your name out there, these are the best options for beginners. So what are you waiting for? Get started now!